"A Christian university has an important place in our society because Christ has shone a great light of truth and delivered good news to the world. All the great academic disciplines of our modern civilisation are based on a dedication to truth, and to the seeking of wisdom and knowledge. Scholars having faith in that light and in that hope go out into the world and make a real difference in their communities. Australia's Sunshine Coast is a beautiful location for such a community of learners." 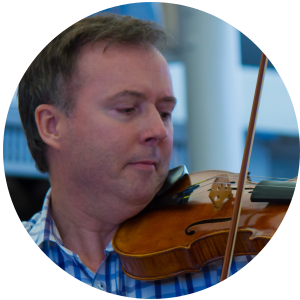 Jonathan was born in Newcastle, and grew up as a young child in Beaumaris, Victoria, where he was first introduced to the violin. From the age of two Jonathan was very interested in music. He completed a music degree at USQ, under Associate Professor Peter Rorke OAM. Jonathan then decided to follow in the footsteps of his father and uncle, who were geologists, and completed a Bachelor of Applied Science degree at QUT. Some years later he then attained a Bachelor of Education, as a graduate degree. Jonathan has extensive experience in violin performance, geology, teaching, and writing. He is also a filmmaker. He has found a real blessing working as a part-time writer and editor for Creation Ministries International in Brisbane. He performs at various events and in churches, and hopes to reach many audiences and bring people together with music.